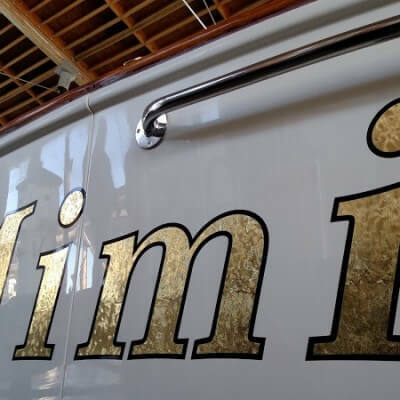 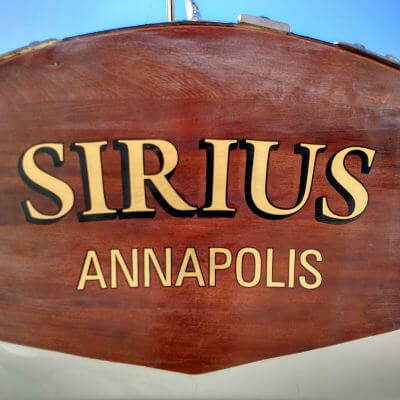 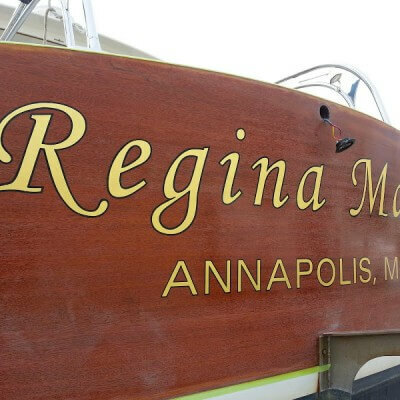 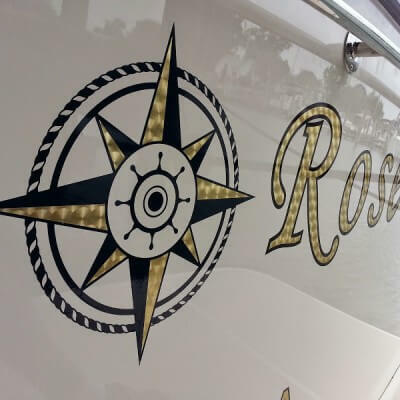 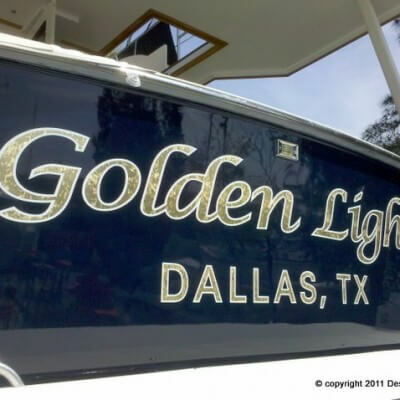 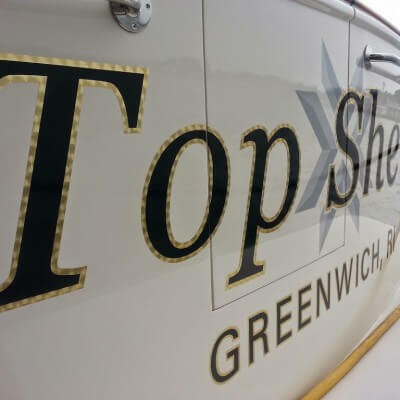 A beautiful gold leaf boat name designed and installed by Designs & Signs for Mast and Mallet Boatworks in Edgewater, Maryland. 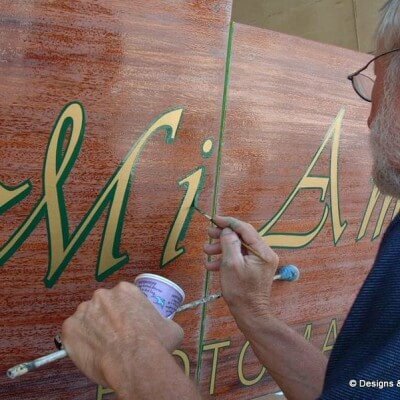 The process requires a full day to complete. 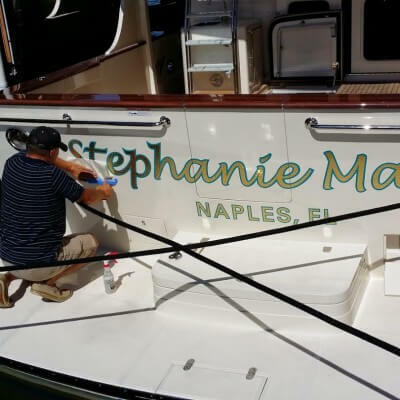 First the transom must be prepped by someone at your boat yard. 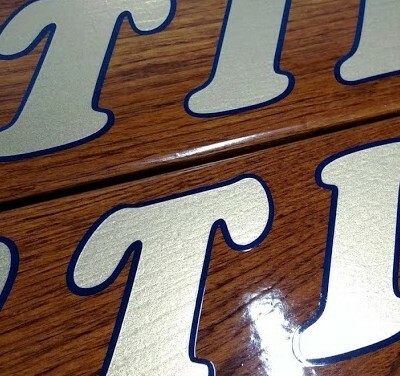 It should be varnished well and sanded before we arrive to begin gilding. 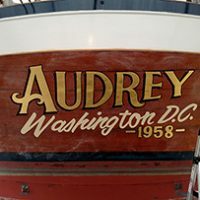 A pounce pattern is used to apply a thin charcoal outline of the lettering to the back of the boat. 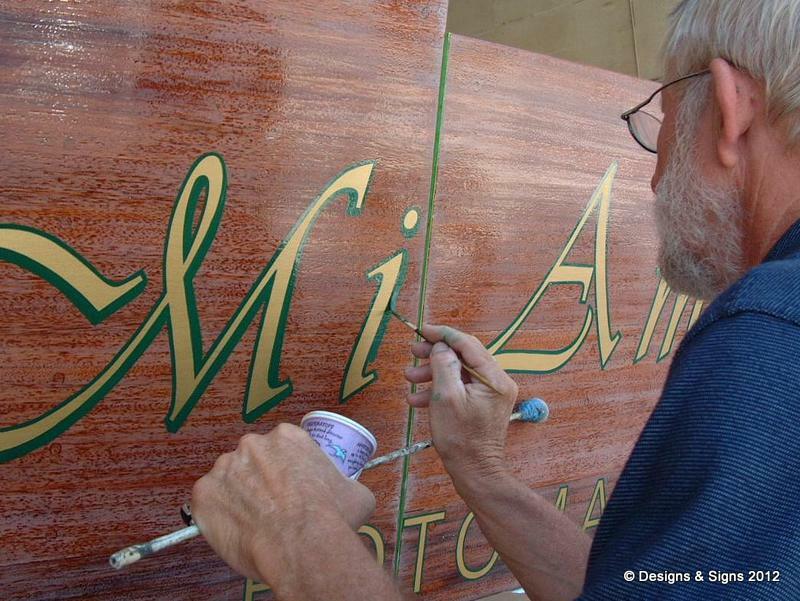 We follow those outlines when we apply the size with a lettering brush. 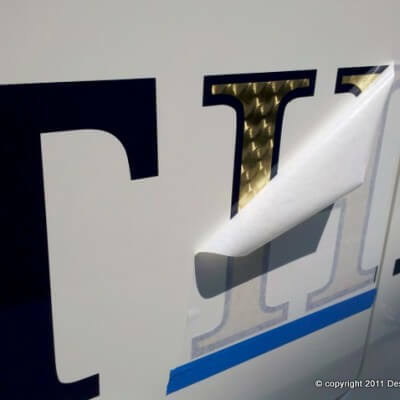 When the size begins to tac up we apply the gold leaf. 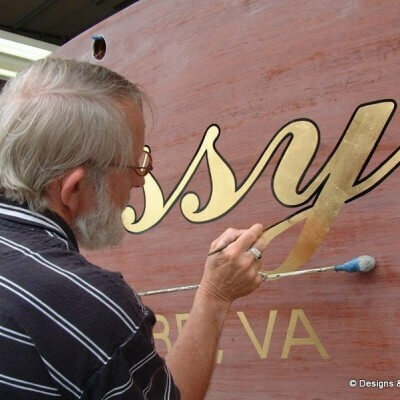 The size and leaf must be completely dry before polishing. 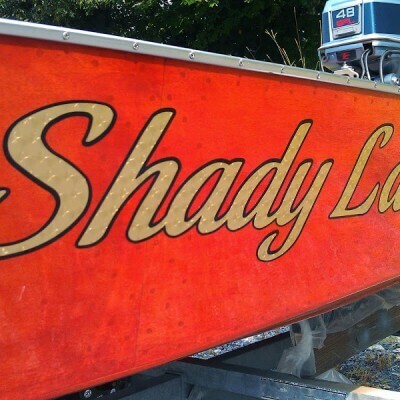 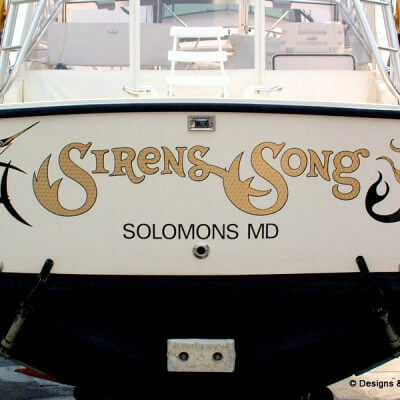 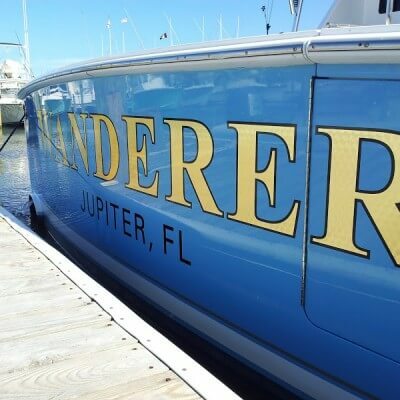 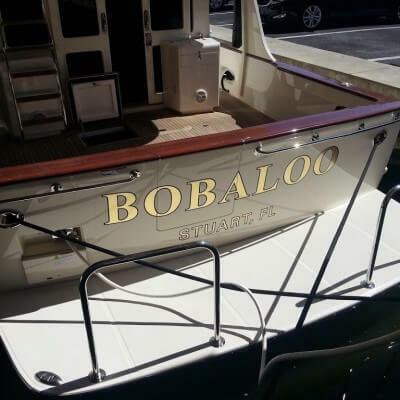 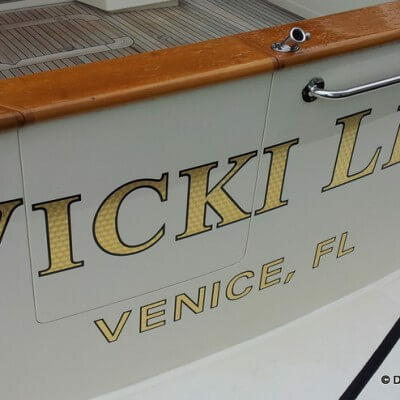 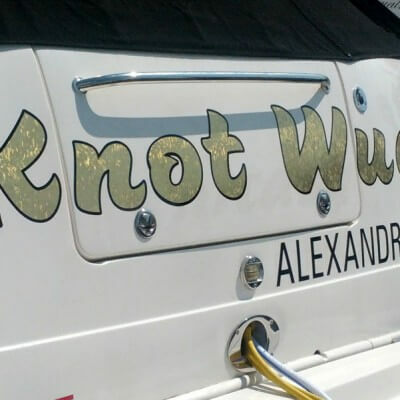 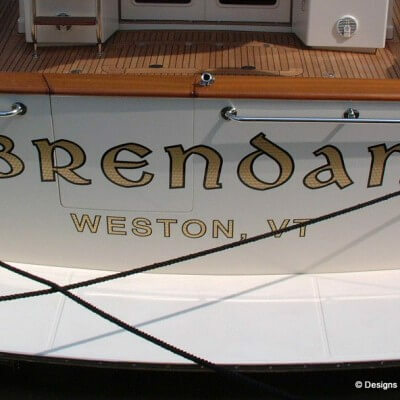 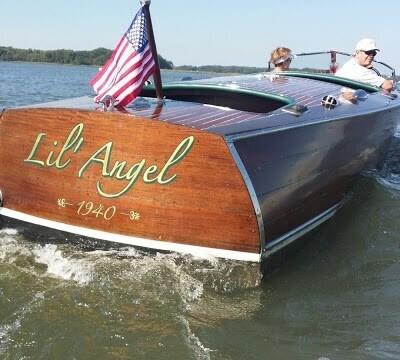 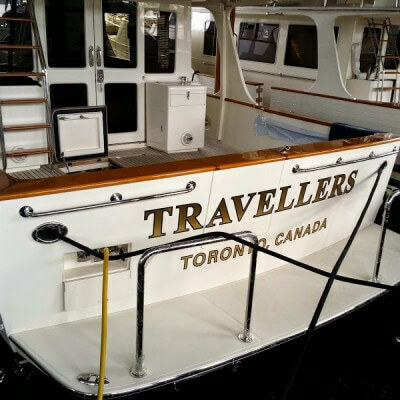 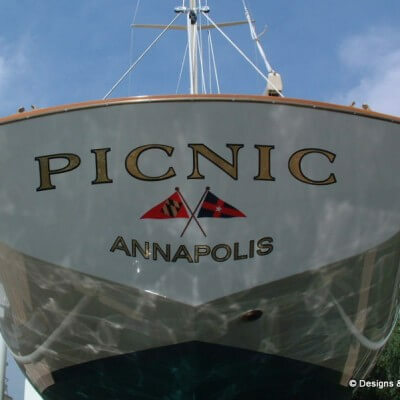 Below, Brendon finished the lettering with a lettering brush, applying both outline and shadow to this boat name.